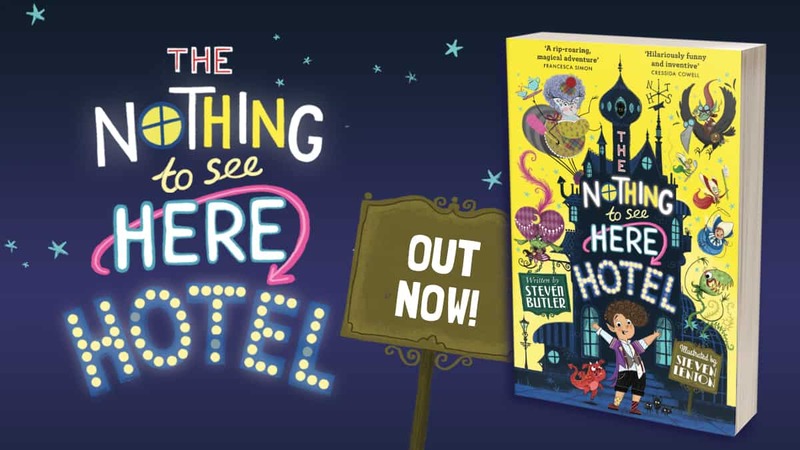 Check out ‘The Nothing to See Here Hotel’, a new book from Dennis the Menace author Steven Butler! It’s a hotel for magical creatures, where weird is normal for Frankie Banister, a kid whose parents run the hotel. When a goblin messenger arrives announcing the imminent arrival of the goblin prince Grogbah, Frankie and his family rush into action to get ready for their important guest. The story is written by Steven Butler who grew up in Kent, but now lives in London. He’s written loads of really great books including The Diary Of Dennis the Menace and The Wrong Pong fiction series! Steven Lenton, who illustrated the book, comes from Cheshire and now works from his studio in Soho in London. Best known for illustrating the bestselling Shifty McGifty series, Steven has illustrated many lovely book as well as writing and illustrating his own stories!